Myshuha, Oleksander [Мишуга, Олександер; Myšuha] (stage name: Filippi), b 20 June 1853 in Novyi Vytkiv, Radekhiv county, Galicia, d 9 March 1922 in Freiburg, Germany (buried in Novyi Vytkiv). Opera and concert singer (lyric tenor), teacher, and benefactor. 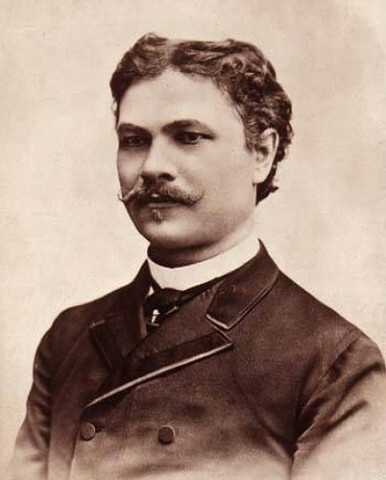 He studied in Nice and Milan and under W. Wysocki at the Lviv Conservatory and made his debut in Lviv (1880) in Stanisław Moniuszko's The Haunted Castle. 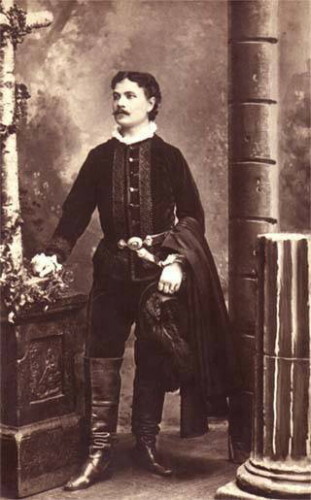 Myshuha was highly successful as first tenor of the Warsaw Grand Theater (1884–92), especially in operas by Moniuszko. 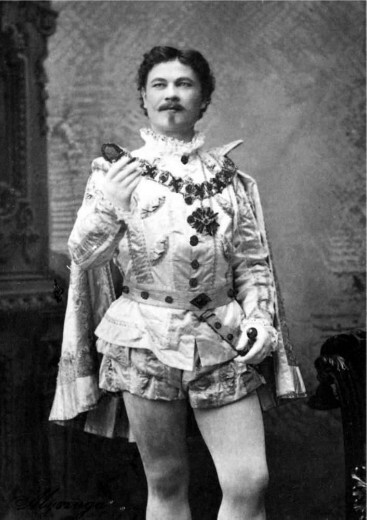 In 1885 he appeared as a guest performer at the Vienna Imperial Opera. In addition he toured Lviv, Kyiv, Saint Petersburg, Italy, France, Berlin, and London. His recordings of art songs by Felix Mendelssohn and Francesco Tosti and of arias from Moniuszko's and Charles-François Gounod’s operas executed for the Gramophone and Zonophone labels (ca 1911–12) are today extremely rare and highly valued collector's items. In later years Myshuha taught at the Lysenko Music and Drama School in Kyiv (1904–11), the Chopin Higher Music School in Warsaw (1911–14), the Moniuszko Music Institute in Warsaw (1912–13), and in Stockholm (from 1919). His students included Mykhailo Mykysha, S. Myrovych, and Mariia Donets-Tesseir. A friend of Ivan Franko, Myshuha assisted in the publication of his collection Ziv'iale lystia (Withered Leaves). Myshuha funded the publication of Ukraïns’ke mystetstvo (Ukrainian Art) in Kyiv, actively supported Sadovsky's Theater, and left his entire estate to the Lysenko Higher Institute of Music in Lviv.